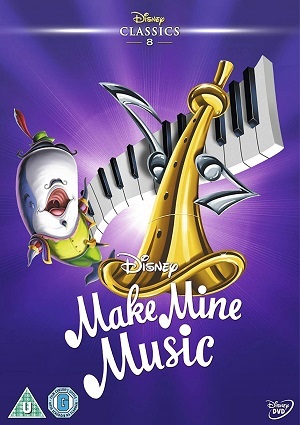 Make Mine Music is a cartoon film by Walt Disney that features music with a lot of short film segments. It features all kind of emotions, from love and romantic affairs in “The Martins and the Coys” to the bittersweet “The Whale Who Wanted to Sing at the Met”, where the wale Willy is an opera-singing whale that wants to sing for the whole world. One of the segments is “Peter and the Wolf”, a very known film segment where a young boy Peter goes to the forest intending to kill the wolf along with this friends: a bird, a cat and a duck.